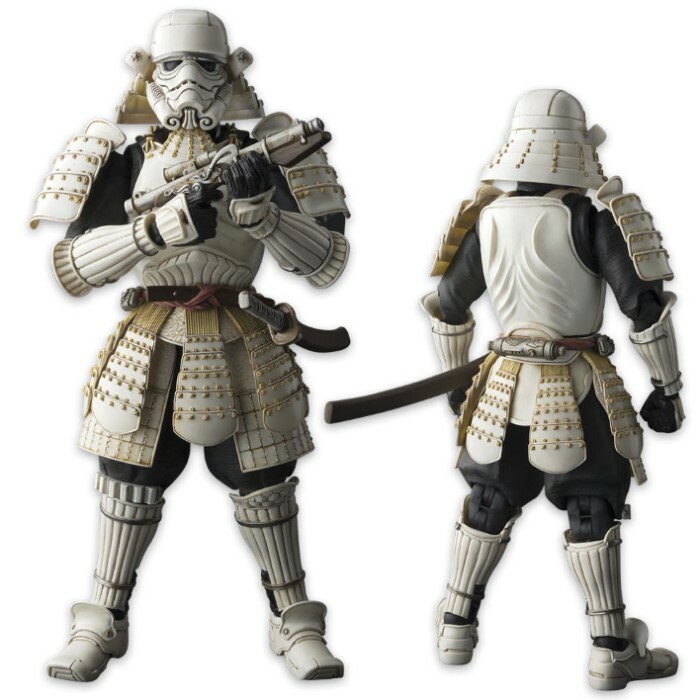 Star Wars Tamashi Ashigaru Stormtrooper - Movie Realization | BUDK.com - Knives & Swords At The Lowest Prices! 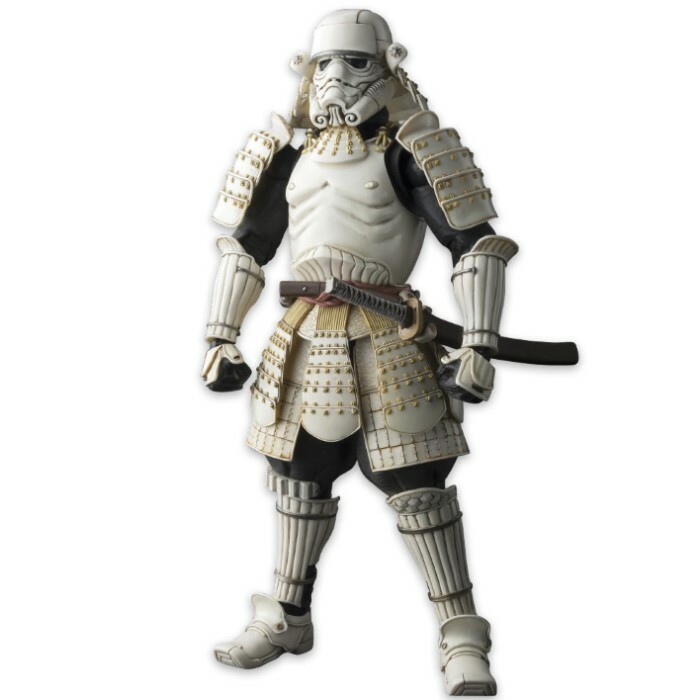 In this Stormtrooper interpretation, Samurai Vader's foot soldier of the Empire is clad in far-gone Japanese feudal era attire and armament. 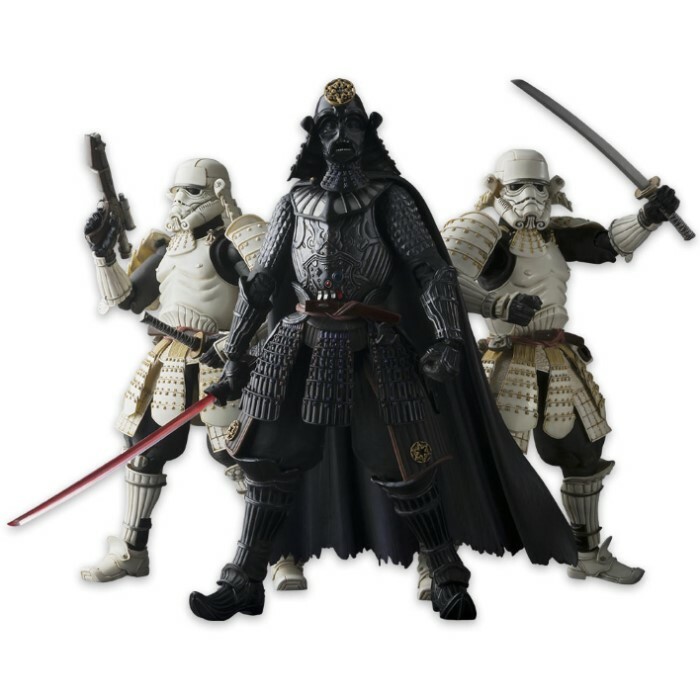 This exquisite figure has been master crafted by Japan's top sculpting talent and features hybrid material construction for dynamic posing possibilities. The set includes katana and blaster rifle accessories, as well as, three sets of interchangeable hand parts.